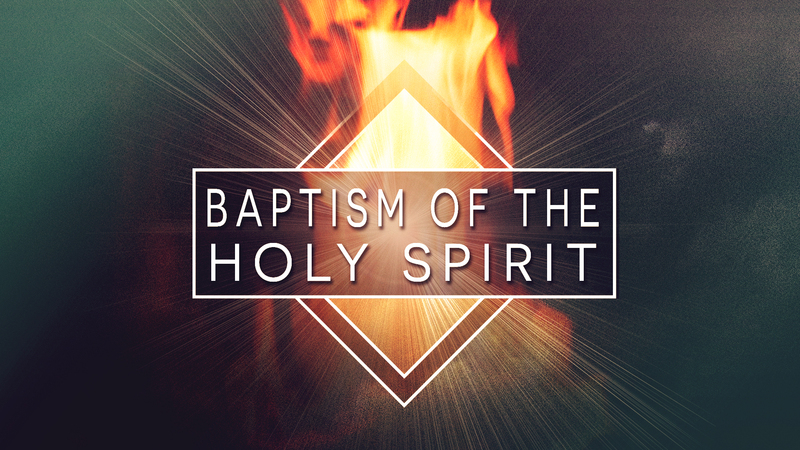 The Baptism of the Holy Spirit - (BHS), is a fascinating subject and has come into increasing discussion in our days. The key questions as we see it are: Is it something that occurred at salvation, or is it something that is to occur subsequent to salvation? And what about a “2nd experience” with the Holy Spirit that many of us have experienced after salvation? What is that experience and how should we think about it, in light of what we see in the Scriptures? These are great questions, and very relevant in light of what’s happening in Christianity. 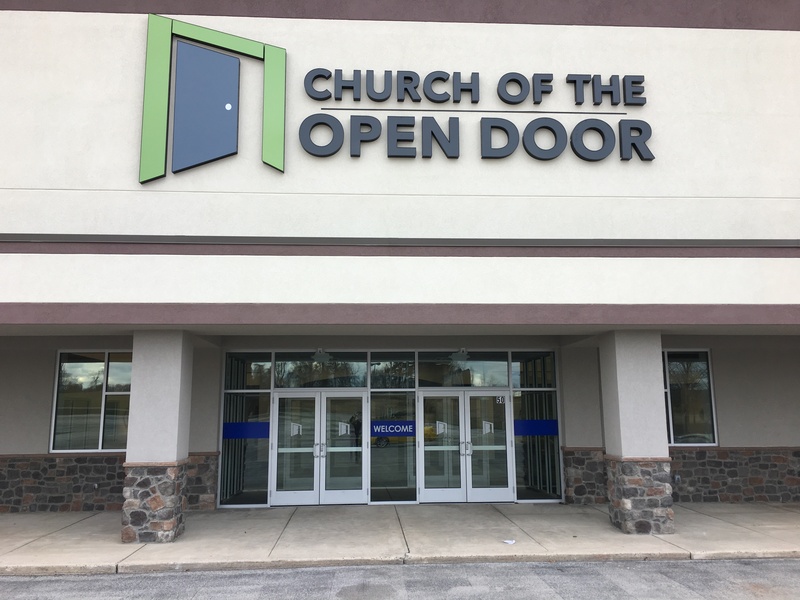 In this paper, we the leaders of the Church of the Open Door, seek to provide answers for our flock. There are 2 main views of the BHS. The 1st, held by many Pentecostals, that Jesus’s original disciples first received the Holy Spirit in John 20:22, when He “breathed” on them, subsequent to His resurrection. These disciples then waited for the Spirit to baptize them in Acts 2, which He did. This baptism in Acts 2 was subsequent to conversion and resulted in great power for ministry, including the speaking of tongues. Thus, this view holds that when someone receives Christ today they receive the “Baptism of Christ”, but for ministry power, giftedness, and tongues, they must wait for the “Baptism of the Holy Spirit”, like the disciples did in Acts. Those who hold this position cite Acts 2, 8, 10, 11 and 19 as support, where they say that a BHS subsequent to salvation was a common occurrence in the NT, and thus should be so for us. The 2nd view of the BHS is that salvation and the BHS are one and the same, and they occur at conversion. In other words, the Baptism of Christ and the Baptism of the Spirit are one and the same. There certainly are subsequent experiences with the Holy Spirit, that is unmistakable in Scripture and Christian history, but the subsequent experience is not a “baptism” in the sense of how it’s used in Scripture, the subsequent experiences are a fresh “understanding and filling” of the Spirit. As we must do with all questions like this, we must ask: What does the Bible teach? Let’s seek to answer this question with an historical, contextual, and grammatical interpretation of Scripture. There are 7 times when the phrase “baptism with the HS” occurs in the NT: The 1st four are in the gospels: Matt.3:11, Mark 1:8, Luke 3:16, John 1:33, and each time John the Baptist is speaking and saying that Jesus will baptize His followers with the Holy Spirit. The next 2 times the phrase occurs is in Acts 1:5 and 11:16, both quoting the words of Jesus promising the BHS at Pentecost. this cannot be supported when you examine the greek construction of this verse. In the greek, in 1 Cor. 12:13 the phrase “in one Spirit…we were baptized” is identical to the previous 6 verses where this phrase occurs and is translated “with the Holy Spirit.” The only difference in the construction of 1 Cor. 12:13 is that the word “Holy” does not appear. This has also caused some to doubt that it is talking about the Holy Spirit, but that is really a stretch, for what other “Spirit” would the verse be referring to? Other than that, the phrase “in the Spirit” is the same as the previous 6 times it occurs, and the people who would have read it in the original greek would have seen this phrase as meaning the same thing as in the other 6 verses. Then when you read further in 1 Cor. 12:13, you find out what happens at the BHS: one is placed into the body of Christ, united with all others who know Christ, and cleansed/empowered to serve Christ. The Spirit is the element in which they were baptized, the body of Christ was the location in which they found themselves after the baptism, and the power that comes from “drinking” of the Spirit is the pervading reality of our lives. The phrase “drink” takes us back to Christ’s words about the Spirit in John 7:37-39. Thus, here in 1 Cor. 12:13, the Apostle Paul is explaining what the BHS is, that it occurs at conversion, and the result of it is that believers become members of the Body of Christ, with all its attendant blessings. Thus, the BHS has to do with what happens to us at the beginning of our Christian lives, and it cannot refer to some experience we might have subsequent to conversion. Now a little bit of historical theology: It is important to note that the believers living during the time of Acts were living in a unique time in history. This is an understanding that some fail to grasp, and thus it clouds and confuses their theology in this area. The coming of the Spirit was not just a day Jesus promised to his disciples, it had far greater ramifications for all believers. It was the point of transition between the old covenant work of the Holy Spirit and the new covenant work of the Spirit. 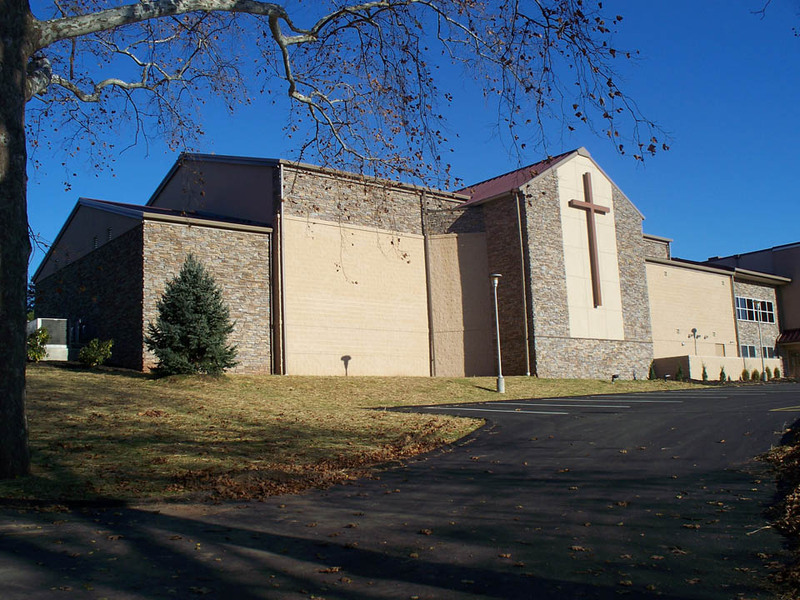 starting the church and placing people into the church who believe in Jesus. Then they receive power to speak, heal, witness, battle satan, and use the gifts the Holy Spirit brings. Acts 2 was the beginning of the new covenant work of the Spirit in the church. In summation, the Baptism of the Holy Spirit describes the coming of the Holy Spirit in new covenant power to the world, at Pentecost for the disciples, and at conversion for the Corinthians and for us today. It is not a phrase any of the other NT authors use to describe some post-conversion experience that we should have or seek. So, how should we understand the seeming “2nd experiences of the Holy Spirit” in Acts, and that many experience today? 1st, let’s deal with the accounts in Acts 8, 10, and 19. To begin, it’s important to note that the same phrase “Baptism of the Holy Spirit” that we examined earlier is not used in any of these accounts. Read that line again, it’s very important. In Acts 8 it seems clear that God sovereignly waited to give the new covenant empowering of the Spirit to the Samaritan’s directly through the ministry of the Apostles. As we learn in the book of Acts, this was important to both the Samaritans, and the 1st century church hierarchy in Jerusalem, much of whom were of a Jewish background. Many people truly doubted whether the mixed race Samaritan’s could be included into the church – remember they had a Church Council in chapter 15 to decide this very thing. It’s clear that Acts 10 is not a second work of the Spirit, because when Peter arrived at Cornelius’s home, it’s not clear that Cornelius is even a believer at that time. These people were receiving Christ into their lives for the 1st time, and the result is that the Spirit “fell” and was “poured out” as a sign that they had been accepted as full members of God’s family. The fact that this happened, without them having to follow any dietary laws, was a huge point here in chapter 10 and 11 of Acts. When Peter describes this in Acts 11, he clearly sees it this way. In Acts 19 it is again clear that we’re dealing with a group of people who had not really heard the gospel of salvation through Christ. They had been baptized into John’s baptism, as a sign they were repenting and being prepared for the Messiah to come. They were “disciples” in the sense that they were followers of John the Baptist and waiting for the Messiah. They had not heard of the life, death or resurrection of Christ, and thus were not “Christians”. When they learned of “Jesus” and believed in Him, the Spirit “came on” them, and they received the Spirit in His new covenant fullness and power. Thus, these experiences are not a pattern for us today, to wait for a 2nd experience of the Spirit. We are not like the Ephesians here in Acts 19, we don’t have a faith in a coming Messiah and then hear and believe the gospel later. We hear the full gospel and like the Corinthians, believe it and receive the Baptism of the Holy Spirit. In summary, Acts 8, 10, 19 do not teach us to seek the baptism of the Holy Spirit. In fact, there are no NT texts that encourage us to seek a 2nd experience of Baptism in the Holy Spirit, subsequent to salvation in Christ. Why do we take the time to work through these passages and explain this? The NT teaches no such two-level or two-class Christianity. Nowhere does Paul or anyone else tell a church, “You all need to be baptized in the Spirit”. This teaching contributes to a “we-they” mentality that is destructive to a church, hurtful and frankly offensive. It suggests that some have what others have no clue about and need themselves. What a way to divide a church and satan has had a field day in this very regard. 2ndly, one of the main works of the Spirit is our sanctification, is the shaping and molding He does as He causes His fruit to ripen in our lives, Gal. 5:16-26. While we are all baptized in the Spirit, we’re not all in the same place in the progress of our sanctification. Some allow the Spirit to fill them continually – (Eph. 5:18), while others grieve and quench His work in their lives – (Eph.4:30, 1 Thess. 4:19). As we grow in Christ and knowledge, we should ask the Spirit to sanctify us by daily filling us, confessing sin, repenting where we need to repent, renewing our commitment to Christ, learning about our identity in Christ, growing in faith and believing God – taking Him at His word. What happens is that we then have a deeper experience of God’s Spirit and work in our lives. We will see additional fullness and empowering, growth in spiritual gifts, and increased power in ministry. Prayer and Bible study come alive for us. Thirdly, the filling of the Spirit should be realized by all believers- everyone!! What is this experience called, when we grow in our understanding of the Spirit’s work, and experience greater power and influence? As we have seen, it is not a “baptism of the Spirit” that puts people in a separate category of believers. It is “a large step of growth”, a “progress in our sanctification”, a “new empowering for life and ministry” of the Spirit’s work in our lives. Paul actually has a word for this experience in Eph. 5:18, he calls it the “filling of the Sprit.” As we see this in the greek, this is written in the imperative = it’s a command!, plural = for everyone, passive = no formula just an openness to God, present = not a once and done experience but continual. When we read the rest of Ephesians we see that the filling of the Spirit results in a completely changed life, in every way, including authority over satan and his emissaries – Eph. 6:10-18!! Thus, when you read Acts you see that the Spirit “filled” his people over and over, for new empowered ministry, authority over satan and sickness, spiritual giftedness, greater power in prayer and ministry, greater joy in worship, and deeper fellowship with God. We can attest to this in our own lives, as we’ve grown and given the Lord more areas of our heart and lives.